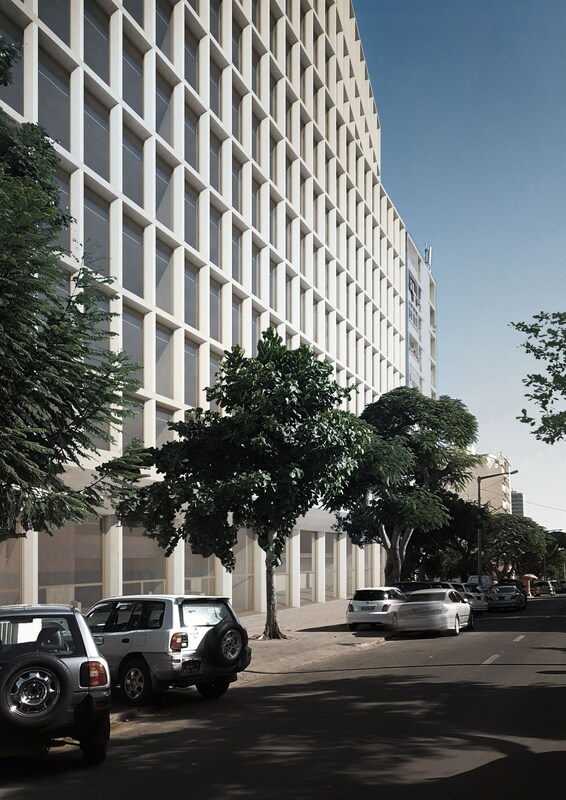 The project is located in downtown Maputo, capital of Mozambique. Due to both economic growth and speculation in recent years, the urban pressure in the centre of the city has resulted in a series of new buildings being built in its main avenues, some even of disproportionate height. This development has gradually altered the social and urban character of the city. In addition, the market pressure on the urban fabric has led to a diversification of uses of which office building is an example. The contingent use of residential buildings as workspaces due to informality and shortage of proper office space, has led the developer considered reasonable, businesswise, to build an office building in an eminently residential area of the city. 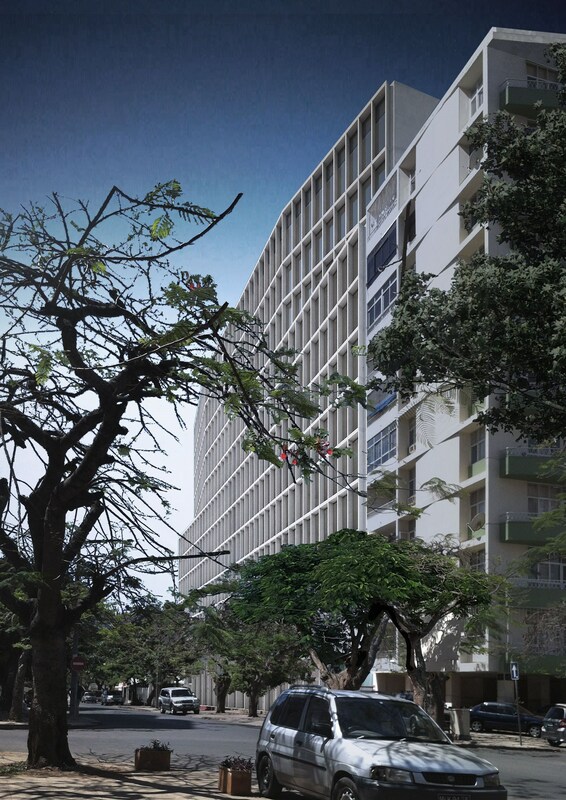 Located on Armando Tivane avenue, in the immediate vicinity of Julius Nyerere avenue, this 12-storey building follows the confining buildings both in terms of street alignment and storefronts at ground floor level. With a two floor parking basement and a rectangular plan with a central distribution core, it can be broken down on 6 to 8 potential fractions per floor. Emphasizing street continuity, the facade foreground develops in alignment with the contiguous building albeit an individual expression by the oblique recess of its planes, broken sequentially, above the cornice. 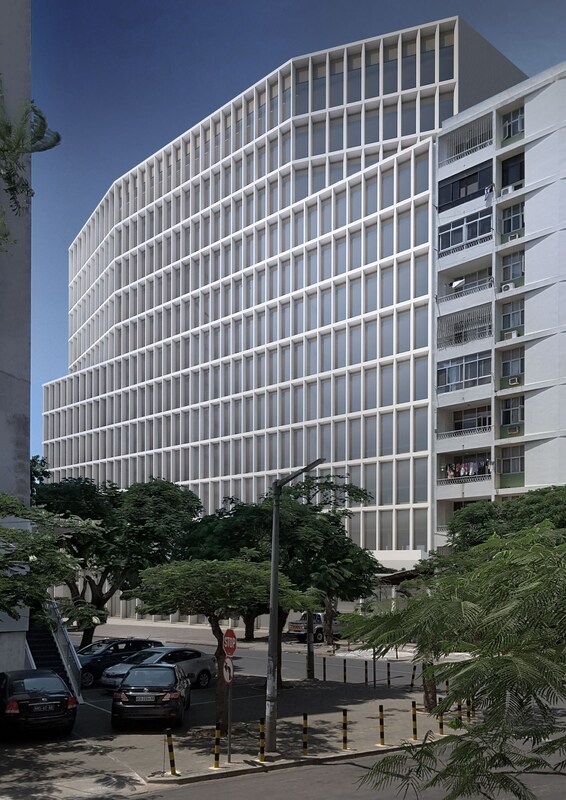 Its East-West exposure led the facade design to integrate a shading system of vertical louvers incorporated in a concrete post-and-lintel composition, rendering the building an abstract character which in turn reflects its modular flexibility. Next ArticleOpen Studio Architects to showcase the Swartberg House in the Venice Biennale 2018 multi-screen exhibition.